I was rereading the Star Trek Legion of Super-heroes crossover and was impressed on how well written and drawn it was. Released by IDW and DC comics starting in October 2011, it features a six issue crossover between the original Enterprise team (TOS) and DC’s Legion of Super-heroes of the time. 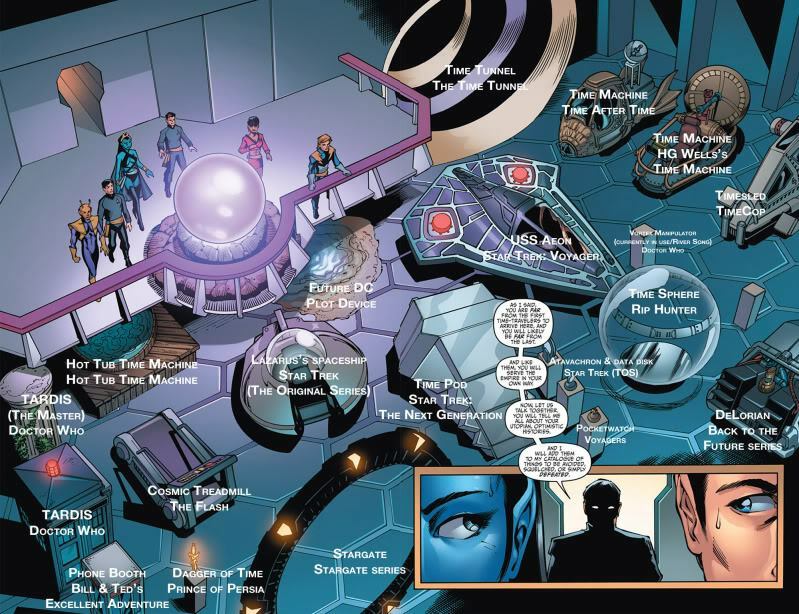 There is a reference to Darkseid placing this after the Great Darkness Saga for LOSH, which is still in “New 52” continuity, thus it seems this story has still happened in the “New 52” continuity. Besides that, I noticed a reference to Chekov’s “Russian Misconceptions”, when he makes the LSH people think that in his universe Russia invented Scotch Whiskey, when in fact it didn’t! This video has some nice “Russian Misconceptions” by Chekov.